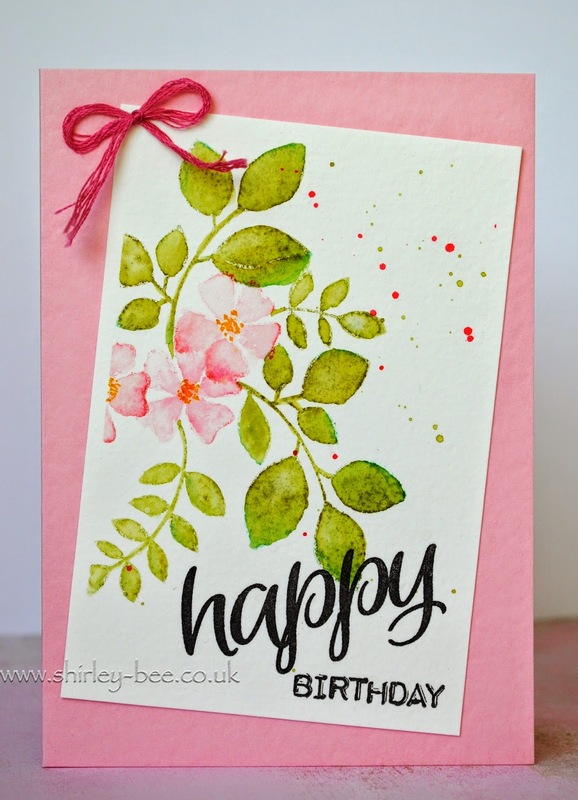 Quick post from me - I'm on my way out to stamping club. Two cards for Online Card Class homework. The first is for Day 7, painting over a stamped image. This second one is freehand painting - look at all that splatting! I hand-wrote the sentiment, so not a stamp in sight. both of these are just beautiful! which stamp did you use for your leaves & flowers? Get outta town!!! You hand wrote that sentiment??? It's fabulous! Hey, why don't you start your own stamp company...would be a nice fit with your new domain name! Gorgeous cards, I love the bloom... What a beauty !! Oh my dear. 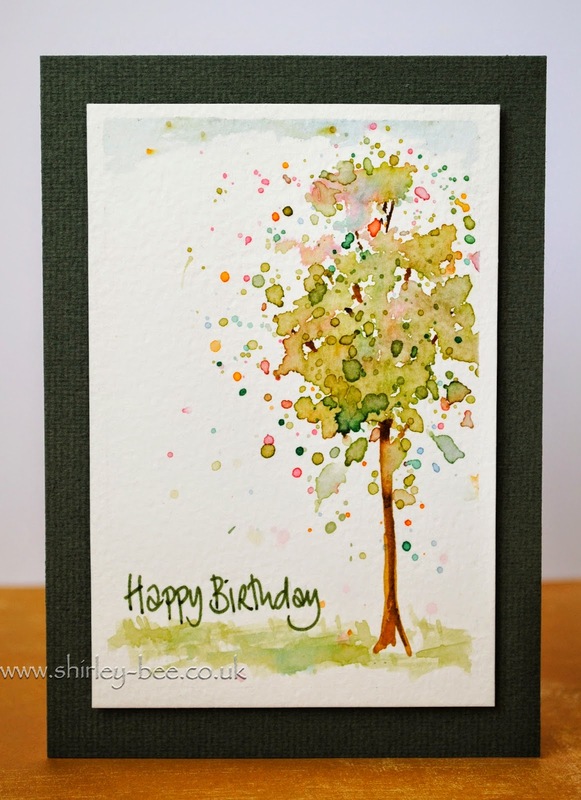 I'm going gaga over that splattered tree. I am actually on my way to my craft space to try watercoloring a stamped image for a card for my Dad, and I was thinking trees. May have to give this a try although I know I can't work a brush like you can. Your cards are beautiful! I am super impressed with your freehand!